Super duper yummy! 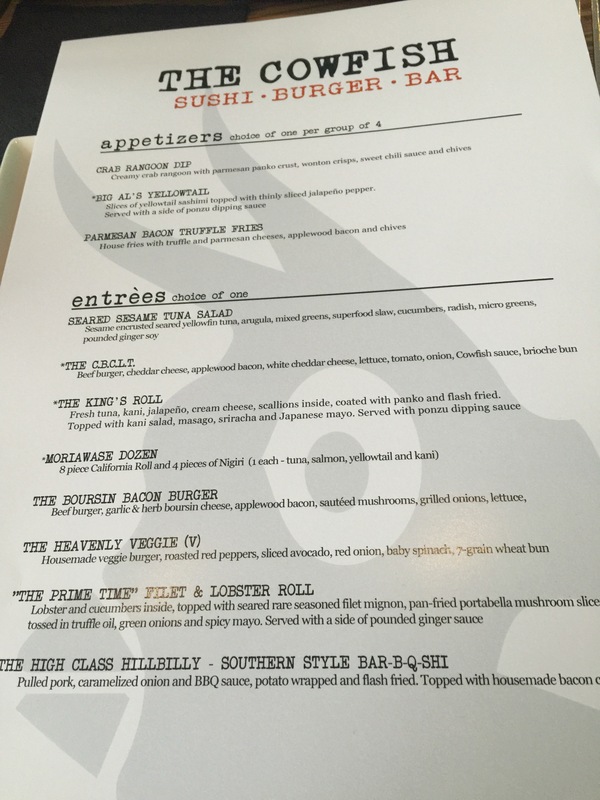 We had the chance to dine at the innovative and fun new Cowfish Restaurant at Universal Orlando CityWalk during our recent trip. Cowfish was AMAZING!!!! This unique restaurant is basically a “Burger Sushi” combination as it serves both burgers, sushi, and even a brilliant mixed up combination of both together. 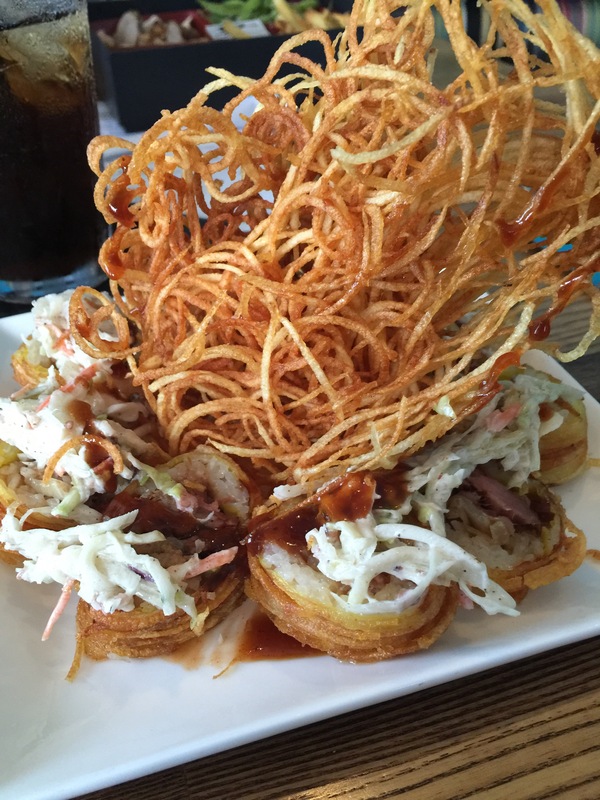 Check out our Cowfish Burger Sushi Bar Universal Orlando Video Review below. I’ve also got some amazing photos of my spectacular pulled pork BBQ that was served “sushi style”. It tasted divine! 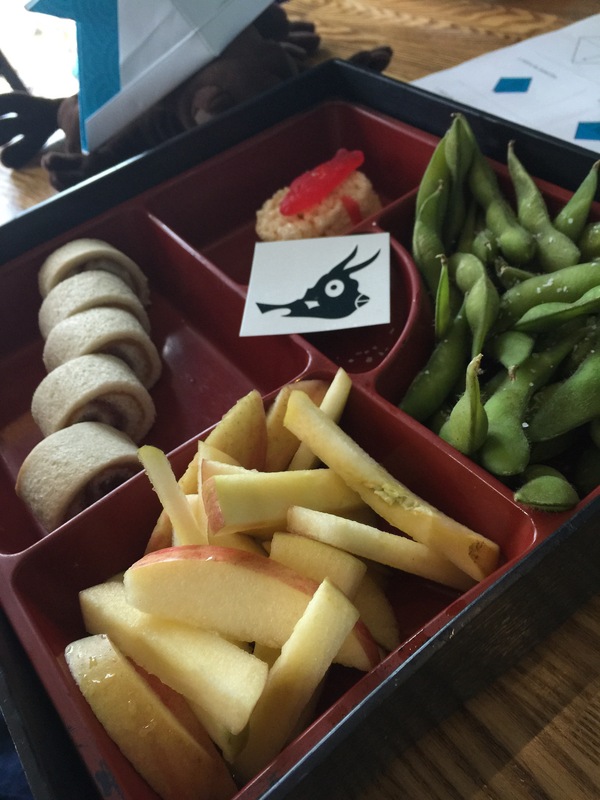 All the kids meals are served in these adorable Bento boxes. Kenzie order Peanut Butter and Jelly but it comes looking like PBJ sushi rolls. So cute. Kyle ordered the gluten free “dragon bites” which were bits of grilled chicken. Kids had healthy sides like apple slices and edamame too. 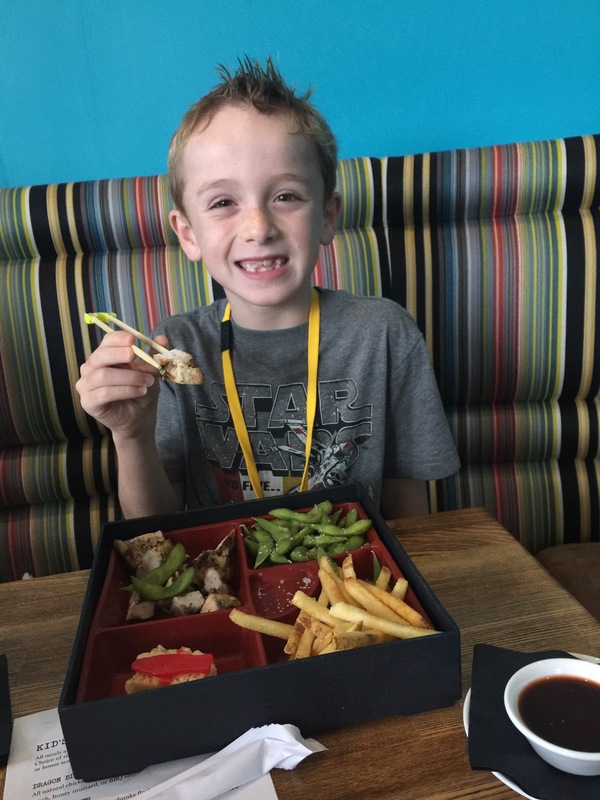 Love love love how the kids meals were all served in a Bento Box along. So cute! Each child was also given “chopstick” trainers which enabled the kids to eat their food with chopsticks too. So much fun! This is my “Southern Hillbilly” pork bbq sushi style as it is all wrapped with rice, bacon and a french fried potato. Unbelievably delish! And as you can tell the presentation was spectacular and the portion size was very large too. 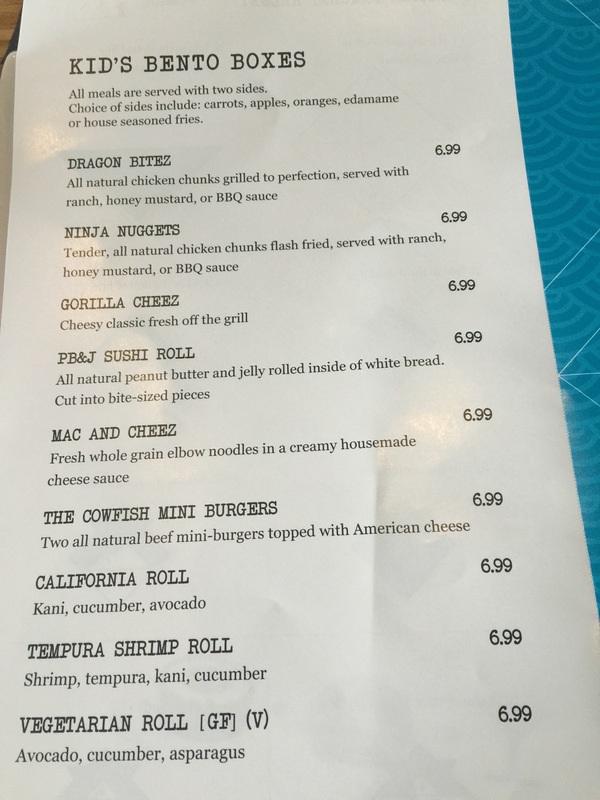 Below are the very creative menus for both Kids and Adults at Cowfish. Read more about Cowfish online on the Universal CityWalk website here. Note: Thanks to Family Forward and Universal Orlando for including this special meal in our the price we paid for our conference fee. As always, all thoughts and opinions are our own.